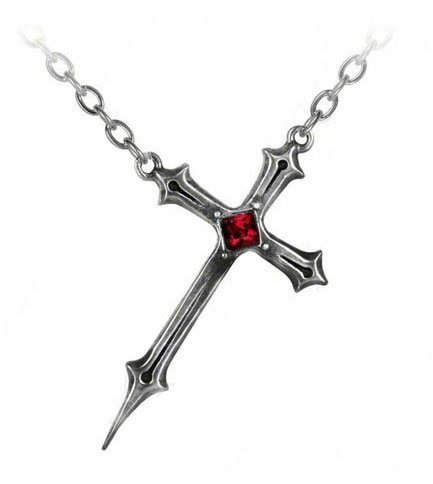 Delicate, Victorian grave-marking cross with red crystal. The Croix Sinestre pendant necklace wont only look great on you it will get you lots of attention too. The way this necklace is designed to hang will get people coming up to you trying to straighten it out. 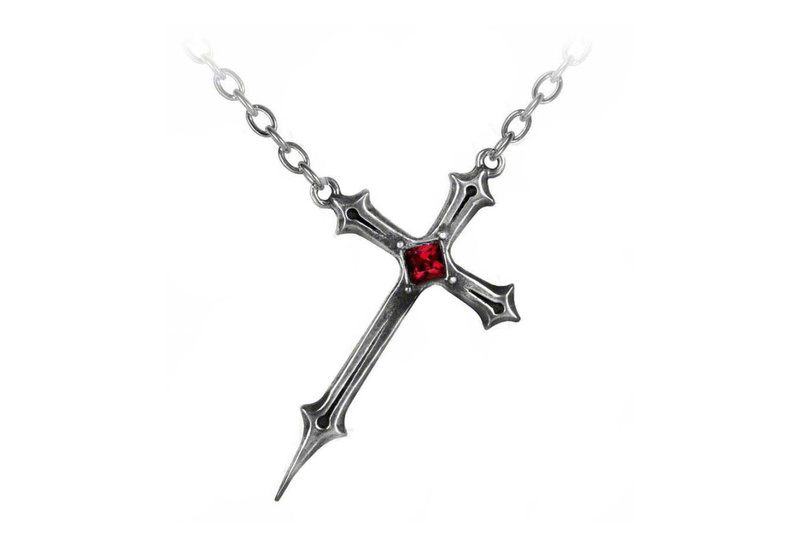 Made of fine English pewter with red Swarovski crystal.